Two of Australia’s biggest musical names, The Black Sorrows and Clare Bowditch, have been confirmed as headline acts for the free Whale Aid Concert culminating in the Hervey Bay Whale Festival on October 18. Fraser Coast Opportunities Events Manager Kim Griffith said organisers were delighted to secure such well-loved, high profile performers for what is promised to be a fabulous finale to this year’s festival. “The evening will feature a stunning Illumination Lantern Parade and two of the biggest stars in Australian music, The Black Sorrows and Clare Bowditch, headlining an exciting line-up of Australian and regional artists,’’ she said. The Black Sorrows features the legendary Joe Camilleri, regarded as one of the most talented figures in Australian music. This year, with an amazing 45 albums under his belt Joe Camilleri celebrates 50 years in the music business and is showing no signs of slowing down. 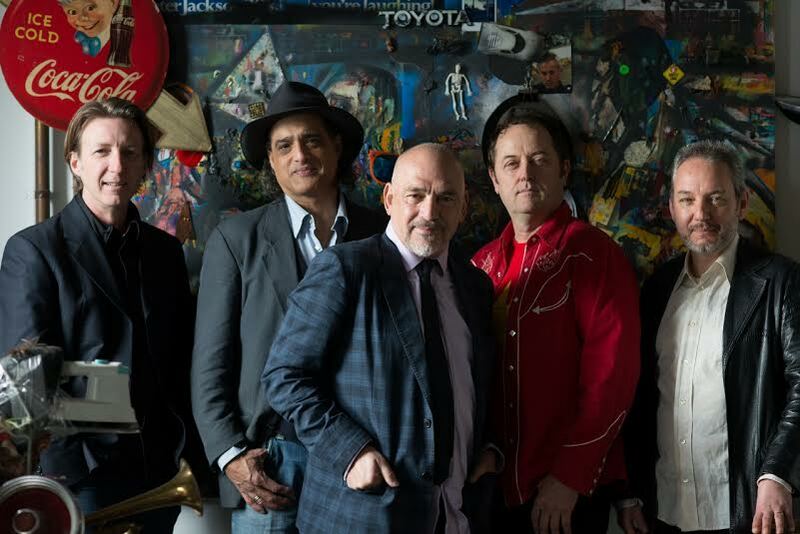 The Black Sorrows have just released a new album Certified Blue to rave reviews, featuring their signature blend of rock, gospel, country, raw blues and sweet soul. Clare Bowditch is an ARIA award-winning songwriter with a host of top 10 albums under her belt. She has been named Rolling Stone Woman of the Year, co-written music with Gotye, toured with Leonard Cohen and is a respected journalist, actor and business mentor. Festival goers are sure to be mesmerised by her soulful, warming style and emotive vocals. A large open air stage will be set up in the grounds of the Fraser Coast Cultural Centre and there will be amusement rides, food and market stalls and a licenced bar. Fraser Coast Opportunities Acting General Manager Robbie Cornelius said the event would focus on combining whale conservation with a great time for all. “There will be no entry fee to the concert, instead people will be asked to make a small donation to help the continued protection of the Humpback whale and our oceanic environment,” Mr Cornelius said. The concert will start at 5 pm with the live music continuing until around 10.30pm. The Illumination Lantern Parade, representing the annual migration of the humpback whales that return to Hervey Bay’s pristine shores each year to rest and play, will begin at 6pm.